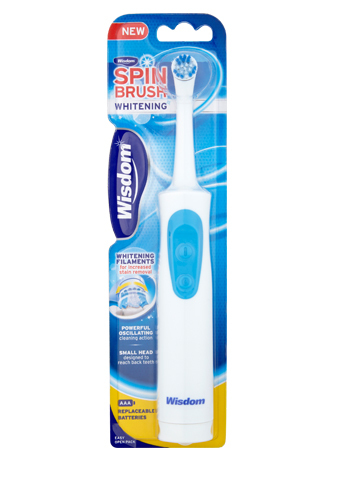 NEW Wisdom Spinbrush Whitening has been specially designed to provide powerful cleaning and stain removal. 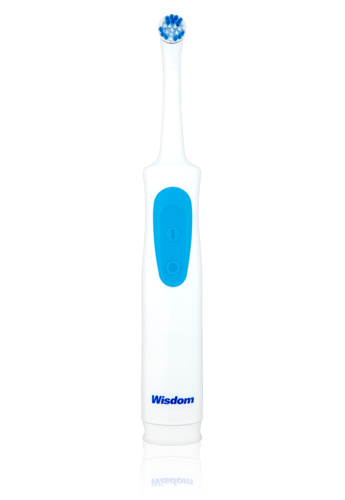 The whitening filaments help to remove surface stains for whiter teeth, whilst the powerful oscillating cleaning action provides effective plaque removal. Use twice a day for 2 minutes for whiter teeth and a healthy smile!